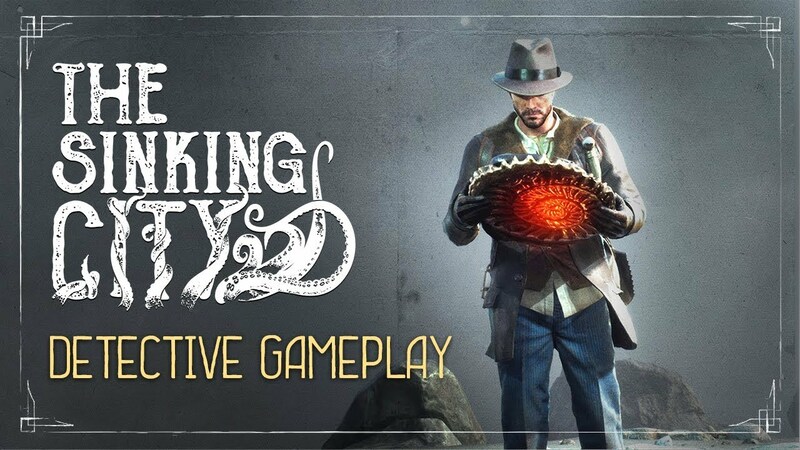 Hello, and welcome to The Sinking City – a game of investigation and mystery, set in a twisted Lovecraftian version of the 1920’s United States. It follows the story of Charles Reed, a Great War veteran and private eye from Boston, who is fighting an uphill battle against terrible insanity. While looking for a cure, Reed finds himself in Oakmont, Massachusetts. A city, devastated by a supernatural flood, monsters, and madness. In pursuit of his goals, Charles will have to face terrors beyond human comprehension and investigate occurrences simply unimaginable in a normal society. With The Sinking City, we put the detective experience first. This means, zero handholding from the game. There are no straightforward tasks, and no objectives on the map to follow. We will never tell you how to approach a quest – where you should go, what to look for, who you should accuse. As you explore crime scenes and find evidence, all information goes into your trusted casebook. Here you can review and analyze it – if you are in need of a Eureka moment. Some evidence is pretty straightforward, lying around the gruesome consequences of someone’s misdeeds. Others need a more intricate approach. In Oakmont, the veil between the mundane and the supernatural is especially thin. Mister Reed himself is no stranger to the paranormal. In fact, he has some useful tricks up his sleeve that can reveal the spell-covered traces of morally-impaired perpetrators. One of these skills, retrocognition, allows him to sneak a peek beyond the veil. Extremely useful, it helps understand what exactly happened and how, if you are clever enough to crack this riddle. Nevermind, Reed is a stranger in a strange land. Anyhow, most institutions in the city are in complete disarray. You can still use their records, which is a life-saver for a detective in need. Keep in mind that different institutions provide different knowledge. Think where to look, and you’ll crack your case in no time. But what is investigation without the ability to piece clues together and try out different theories? That’s what Mind Palace is for – the fan’s favorite feature from our Sherlock Holmes games makes a comeback. But unlike Sherlock, The Sinking City has no right or wrong answers. Just different shades of black. So if you are about to destroy someone’s life, make sure you have a damn good reason. So, as you can see, at its core The Sinking City is an investigation game. We want you to feel like a real detective, digging up all the dirty secrets this wretched place likes to keep hidden. Let us know what you think about this video, and I’ll see you in the next one.